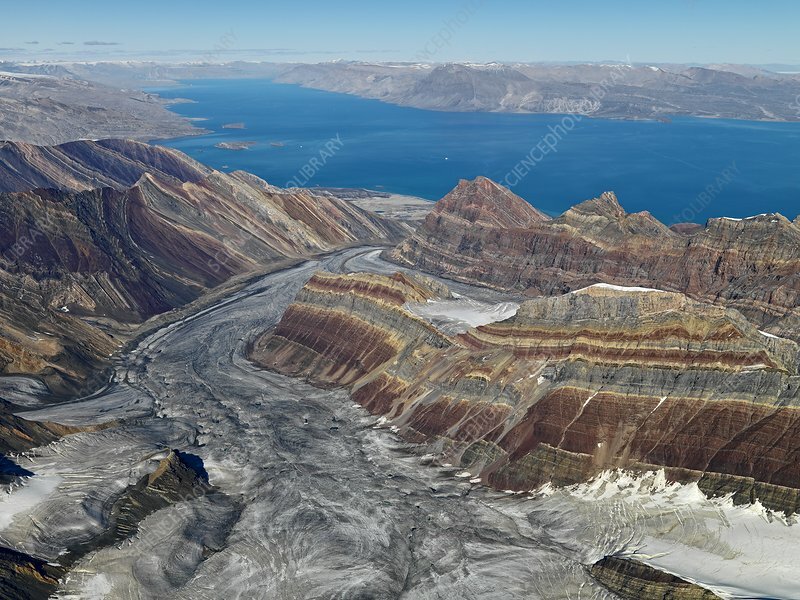 Aerial photograph of the Kong Oskar Fjord, Greenland. The peaks of the colourful Syltoppen mountain range are around 1500 metres high. They are located at the Kong-Oscar-Fjord, one of the longest and deepest fjords on Earth. Different iron minerals give the layers the yellow and brownish colours. The Sorteely Glacier has carved into the rocks of the mountain range and built a deep valley.